Celebrating the First Birthday of “A World with Little Worlds” with Music, Translations and Fun! One year ago today, I decided to celebrate the anniversary of my college graduation by creating a new blog, celebrating my language journeys. One year later, after plenty of embarrassing moments, self-doubt, as well as mirth and fulfillment and euphoria, here I am, certain that I have made progress in some regard, although I have gotten better in many languages and forgotten many others. To celebrate, I hereby present the BEST of the music that my language journeys have exposed me to this year. This was a very hard choice, and if I could have my way I could post entire albums here but that would probably result in a cease-and-desist letter. I could very well provide these in an album form if this was another time, but it seems that in the world of streaming and many other media without physical components that it may not be necessary. Hence, this post! Below is all of the music that I have selected. Some of it is from languages that I know well. Others from languages that I forgot completely. sellest und nüüd vaid näen. kuid seal ei ole sind. et unustaksid sa oma maailma. og náttin døpur, myrk og svørt. stjørnan so blonk og bjørt. seg otar fram í náttini. tí Frelsarin nú føddur er. til Hann sum kom at frelsa teg. And, from Greenland. Asuki’s “Halilu’lilah” is probably my favorite song to date. In two days, this blog will celebrate its first birthday, and I recognize that for a handful of reasons I have not been updating this enterprise particularly well, although my own language adventures have been energized even more vigorously. Throughout those adventures, I have noticed that there is a significant break between the languages that UNESCO notes as “Endangered” and those that it does not (and those listed as “Vulnerable” are on the borderline). It is not about the number of speakers. Yiddish has more native speakers than Icelandic does, if you take into account all Yiddish dialects (UNESCO’s atlas as well as its Red Book notes individual dialects—suffice it to say that the boundary between dialects and languages deserves another post). Faroese has more native speakers than Irish or Breton does, yet Faroese is only “Vunerable” whereas Irish is “definitely endangered” and Breton “severely endangered”. And before you ask, what the languages have in common in the title is NOT that they are endangered: Tok Pisin actually is not (for those curious, it has over 1 million native speakers , 4 million fluent speakers at least, as well as government support). The fact that every single one of them has had their usage suppressed by a government. One significant horror story is that of Breton, which in 100 years went from the sole language of Brittany to being spoken by 10% of the population of the region natively…the quickest decline of a usage of any language that did not involve genocide. 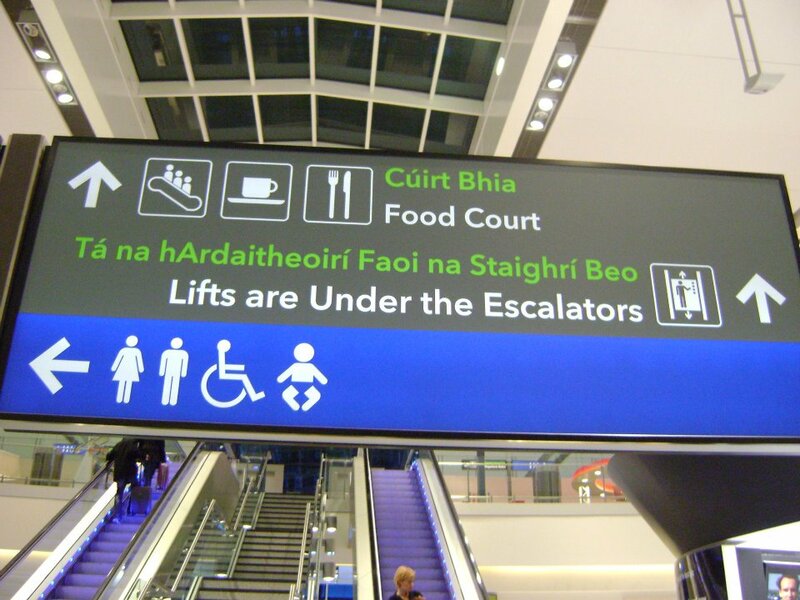 The Celtic Languages in the United Kingdom, largely the poster children for Endangered languages in the Anglophone world (next to Yiddish), have similarly had their usage restricted or punished. Even now, there are some British politicians that deem the study and speaking of Celtic Languages as something tribalistic or even pagan. To go outside Europe (but not far away from it), the story of Yiddish in Israel is well-known, deemed the language of the ghetto in the early days of the state to receiving state support in contemporary times. Israel was far from the only state suppressing the usage of Yiddish—the communist nations sought to integrate their populations into a single standard, and sometimes this vision involved “no minority languages” (although obviously this was notoriously inconsistently followed). Now I get to answer the question at the beginning of the article: a lot of endangered languages (of which Tok Pisin is not, although it has this feature anyway) feature usage of components from various nations that have had an occupying presence or the like. In Irish, there is even a word for Irish that is influenced heavily by English: “Béarlachas” (the word for English is “Béarla”). Yiddish-speakers in a place like Boro Park will notice that there is also an excess of English words that is found in many Ultra-Orthodox communities, words like “blueberries” and “challenges” are taken direction without any changes in this jargon, although you would be hard-pressed to find the equivalent in anything as assigned reading in your Yiddish-class (such as from the Forvertz). In Tok Pisin as well, there is a split component. English is a composite language (between Norman, Saxon, Norse, Celtic and Colonial influences) as is Yiddish (between Germanic, Slavic, Latinate, other local languages and the Holy Tongue), and Tok Pisin is as well. Like Irish and Yiddish, there are words used to indicate a version of the language with overt European influence. Except for in the case of Tok Pisin, using too many European loanwords can be construed as unbelievably offensive. Not surprisingly, this variety of the language is called “Tok Masta”, which exists primarily in written text and, when it was spoken, was used primarily by condescending colonists in days of yore. Not all languages that have this feature are endangered, but every endangered language that I have looked at does have a “purist” version as well as a version (or set thereof) that pays a significant amount of homage to the former rulers. The among of Norwegian words in a Northern Sami dictionary, for example, comes as a surprise to those not expecting the two to be related in any way. But when you consider history, it is not a surprise. It isn’t difficult to disagree or to say why. But yes.